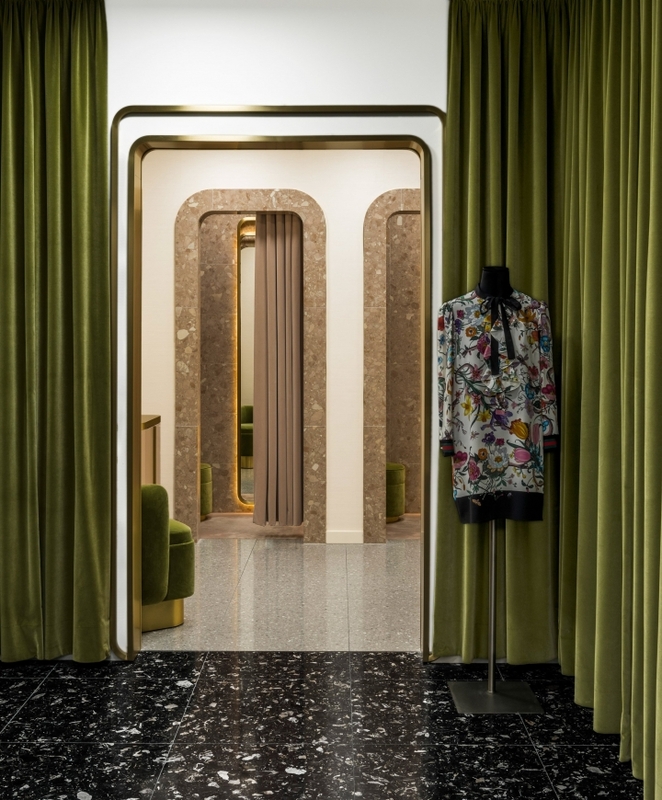 French architect India Mahdavi has used different shades of quartz to create bold, geometric floor patterns in the womenswear section of historic Berlin department store KaDaWe. Mahdavi wanted to celebrate the cultural history of the German city with her design for KaDaWe, short for Kaufhaus des Westens, which has been open in Berlin since 1907. She chose to borrow from the geometric style of the Bauhaus – the famous design school founded by Walter Gropius, as an initiative to integrate artists with craftsmen – and used it for the floor design of the 2,000 square-metre space. 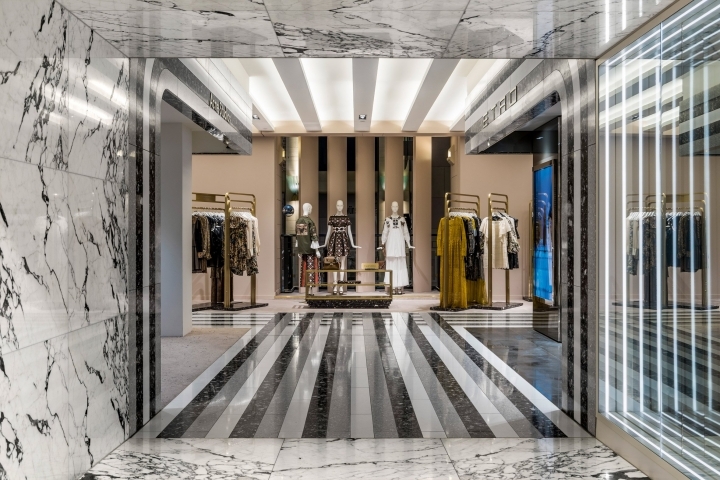 Sweeping black, white and grey stripes of Santa Margherita – a composite stone made from quartz sand and resin – echo the Bauhaus style, creating walkways through the womenswear department. The different patterns in the stone floor create a varied palette, which is complemented by the other rich textures and materials chosen by the designer. 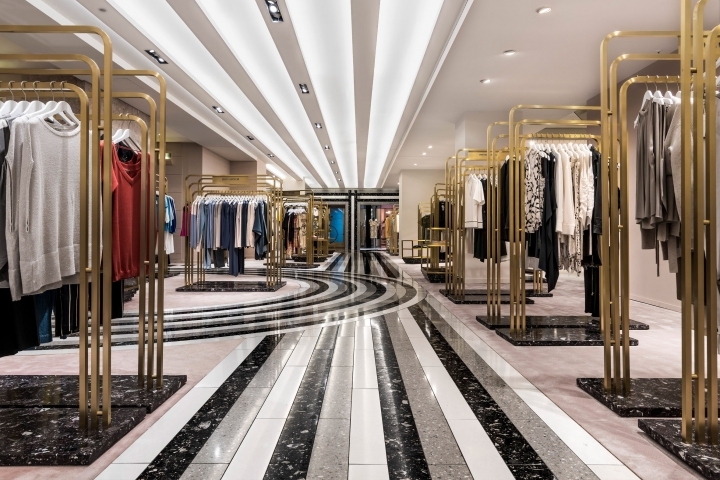 Pale pink carpeting surrounds the walkways, and is offset by triple-tiered, brass clothes rails in the showrooms. In the changing rooms, block colours of quartz flooring is paired with olive green and dusty pink velvet curtains. 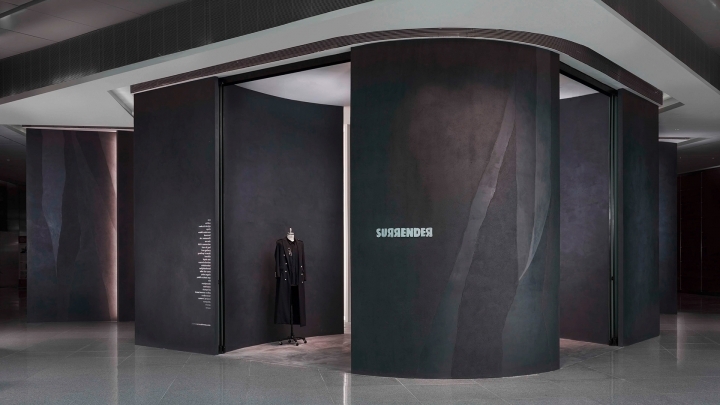 The linear floor motifs give a sense of the movement of the store's customers, alternating between sharp right angles and curving paths. The quartz patterns continue up the walls, forming the shopfronts of the retail units. Mahdavi often uses rich colours in her designs. 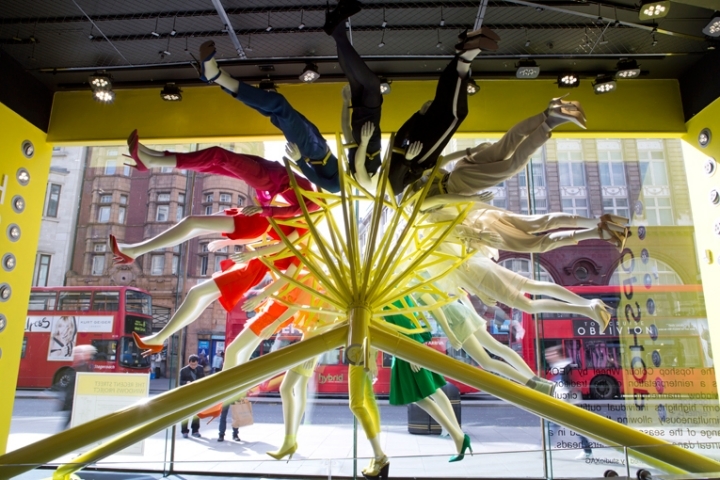 Past examples include the pink interior she created for Sketch restaurant and the pink and yellow interior of the RED Valentino fashion boutique, both in London. With the busy environment of the shopping centre in mind, her KaDaWe design is also intended to stick out. "I often exaggerate some of the features specially in the case of a department store where a lot of the design is absorbed by the products and by the people using the space," said the architect. "One needs to be bold to get your message across." 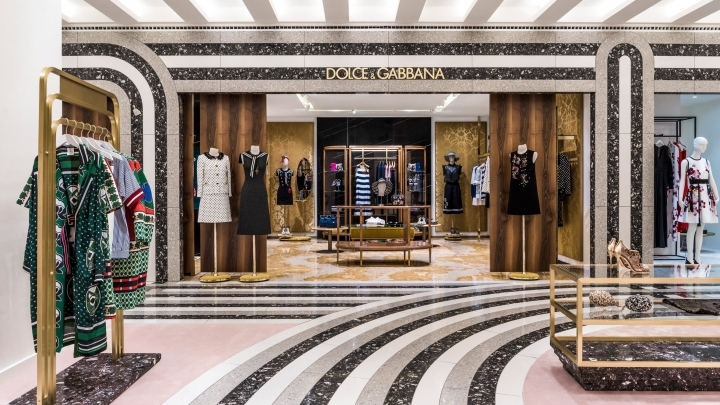 "This is a space that defies the traditional codes of the department store and is at once straightforward and luxurious," she continued. "This place can become a symbol of the renewal and reinterpretation of the 'department store' as a concept." Rem Koolhaas' firm OMA is currently renovating the entire of KaDaWe. The firm has re-envisioned the 60,000 square-metre space as four separate entities, with elaborate staircases to unite the quadrants.